LAS VEGAS: Intel CEO Brian Krzanich says tiny micro-processors will change the future of sports and art. Krzanich showed off new uses for the giant chip-maker’s smallest processors during a keynote speech that formally opened the annual CES gadget show in Las Vegas. 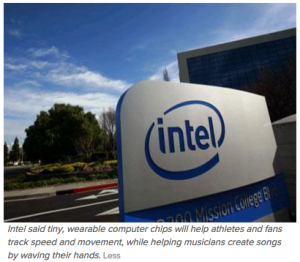 He said tiny, wearable computer chips will help athletes and fans track speed and movement, while helping musicians create songs by waving their hands. The Intel chief invited a composer on stage to demonstrate a set of computerized wristbands that track hand gestures and translate them into musical notes. Other guests showed off drones and robots that use Intel’s three-dimensional optical scanning technology to navigate around obstacles and recognize familiar objects. Krzanich also announced what he called a significant milestone toward the company’s goal of having a workforce that reflects the general population by 2010. He said 43% of workers hired at Intel last year were women or minorities. Diversity is a hot issue in the tech industry, where Intel and other major companies have been criticized for not hiring and promoting women, blacks and Latinos. Krzanich announced an ambitious effort to address the problem during his keynote at CES last year. 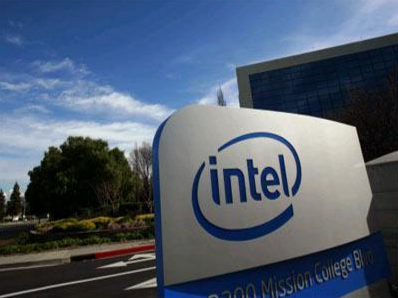 Intel had more than 100,000 workers as of mid-2015; Krzanich didn’t provide detailed statistics on Tuesday.